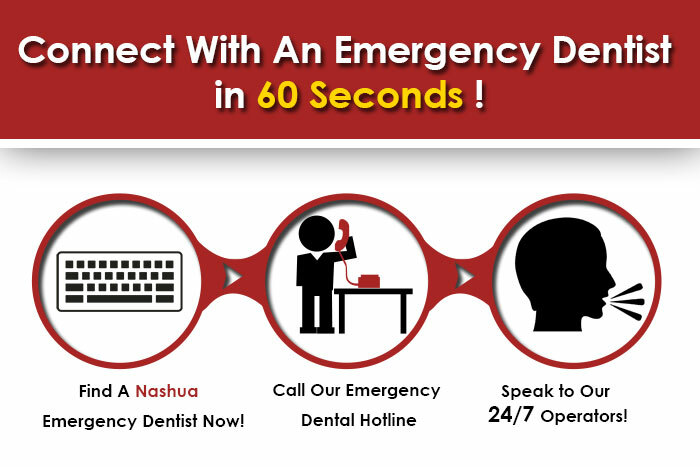 Finding Emergency Dentists in Nashua, NH is as easy as just a simple phone call! Emergency Dentists USA is the perfect portal for you to find the closest after hours dentist to your area, and we absolutely have dentists in our network in Nashua. If the pain of an infected tooth or gum disease catches you off guard, we want to be the ones to help you get you checked out as soon as possible! We have diligently accumulated a large network of emergency dentists who will offer services on Saturday, and late night dentists. If you aren’t able to quickly reach one of our dentists shown in the 24-7 directory, we also provide a hotline that is a handy service used to refer you to evening and weekend dentists for your convenience. We don’t want you to continue your New Hampshire stay with an abscess or extreme tooth injury, and you can find instant relief with a Nashua emergency dentist through our service. The second largest city in New Hampshire and named twice by Money Magazine as the “Best Place To Live In America”, Nashua is the only city to gain that title twice. Located right at the junction of the Nashua and Merrimack Rivers, cotton was a large industry here in the 1800’s. These Nashua weekend dental emergency listings have been vetted by Emergency Dentists USA, and will be at your service if you run into an issue where you need a dentist open on the weekend. If you are unable to reach any of our featured dentists, call our urgent care dentist emergency hotline to secure relief today! Description: You can conveniently use this hotline 24 hours a day and 7 days a week to speak with dental offices open on the weekend in the event of an emergency dental issues. Whether you are looking for a dentist open on Sunday or services that you need late night, we are here to help you get comfortable and pain free once again. Our partners maintain relationships with the most qualified individuals offering after hours dental care. You can get emergency dental help in New Hampshire fast. Creating a warm atmosphere for the patient is the first thing on the agenda of Hudson Dental, who can provide crown and bridge, extractions, root canal treatment, and emergency dental services. William L Gagnon is the head dentist, and has been practicing here since 1985. Selected as a Top Dentist of New Hampshire for 2011, 2012, and 2013, he is an excellent choice for a closest emergency dentist in this area. Listed as a late dentist for Nashua and providing services like emergency extractions and root canals, Joseph is a University of Pennsylvania School of Dental Medicine Graduate, and has been in practice since 1987. He is very adamant about continuing education for all members of his staff, and himself attends over 100 hours a year of additional education. Truly an array of the best professionals in the New Hampshire dental community that is here to serve you. Listed as a late dentist in Nashua, Scott’s practice prides themselves on the highest quality of work, and making sure that every customer is at the peak of satisfaction when they leave. 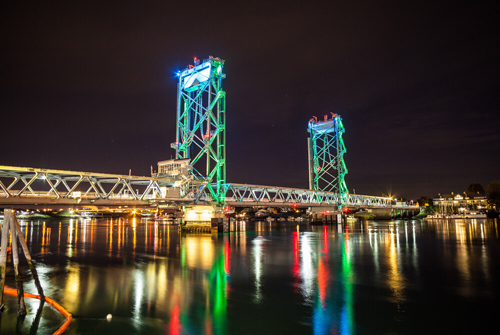 A graduate of St. Anselm College in Manchester, he got his doctorate at The University Of Connecticut and is a well known and successful member of the NH Seacoast Esthetic Dental Association. Home to prominent companies like Oracle, Dell, and defense contractor BAE Systems, this is truly a city that looks like Main St. America with a historic flair. When you get to this area of New England, quaint is the way to really best describe it’s appearance and charm. If you encounter a serious crown cracking or other painful dental emergency during your stay, a 24 hour dentist Nashua NH will get you back to enjoying your stay in this area that is great for watching the leaves change color. If you want to closer look at anyone on this list before your visit, you can check The New Hampshire Dental Society to see how they measure up.